If you normally receive money before carrying out work, the income should be shown in your accounts when you’ve performed the work. This should be matched with the costs and expenses of doing the work. Let’s say you received £4,500 in March for interior design work to be delivered in April. Make sure this is not shown as income (hence profits) in your March accounts to avoid overpaying your taxes early. You are allowed tax free capital gains allowance of £11,700. 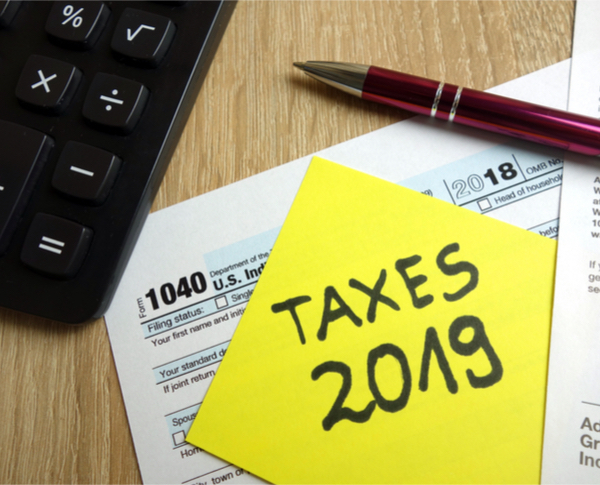 If it makes financial sense to sell some of your investments, then doing so just before the tax year and just after the tax year will reduce your tax bill. Why? Because you get to use two allowances and defer the tax on the second sale until January 2021. Where your investments have not done well or have fallen in value then selling them before the tax year means that you crystallise any losses which can then be used against any profits from your other investments or carried forward into future years. Adding up the income tax allowance, savings allowance and dividends allowance, you get about £14,850 tax free income for single person and £29,700 for a married couple. Ideally you should generate sufficient income to fully utilise the personal allowances. The action point here is to reduce your taxable income by making pension contributions or transferring other income producing assets to your spouse. This takes care so get expert advice/help. Often people pay unnecessary inheritance tax by not claiming the right reliefs. Gifts of up to £3,000 per year can be made free of Inheritance Tax. Unlike most tax allowances, the limit increases to £6,000 if the previous year’s annual exemption was not used. So, you get to use last year’s allowance of £3,000. A married couple can therefore make Inheritance Tax exempt gifts including cash totalling £12,000 per tax year. This simple planning can save a possible tax bill of £4,800 in the event of your demise. Pension contributions currently receive up to 45% tax relief. For example, a £1,000 investment into a self-invested personal pension (SIPP) benefits from 20% basic rate tax relief (£250) added automatically. Higher-rate taxpayers can claim up to a further £250 in tax relief, while 45% rate taxpayers can claim back up to £312.50. Contributions in excess of the annual allowance (currently £40,000 for most people) will be subject to a tax charge. Remember you can’t normally take money out of a pension until you’re 55 (57 from 2028). If you’re a director of your own company, it is possible for the company to pay into your pension pot (say SIPP or SSAS) as part of your remuneration. Then you can leverage the funds and get a second bite of the tax cherry. How? These pension schemes (e.g. a SIPP) subject to certain rules can be used to buy, say, a commercial property and the rental income gets additional tax benefits. As with all the guidance and tips given in this article, please do speak with a qualified professional before proceeding with any tax or investment decisions. From 1 April 2019 VAT registered business will have to keep your records digitally and provide VAT return information to HMRC through a Making Tax Digital (MTD) compatible software. If your system is not compatible you may not be able to submit your VAT returns and risk incurring VAT surcharges. To reduce the impact of MTD on your business and avoid unnecessary costs, start planning now and delegate this task to your accountant, book keeper or relevant in house personal. Enterprise Investment Scheme (EIS)/Seed Enterprise Investment Scheme (SEIS) offer generous tax breaks in the form of income tax refunds, free capital gains tax and free inheritance tax for investors. Essentially if you invest in an SEIS registered business, you get to claim 50% of the investment back against any tax income tax you’ve already paid at source. Plus, you don’t pay any capital gains tax if you sell the investment at a profit after three years. There are conditions to meet so please speak with a qualified adviser before proceeding. If you’re over 18 and a UK resident, you can contribute up to £20,000 to a stocks and shares ISA this tax year ending 5 April and there’s no UK income or capital gains tax to pay on your investments. And although it’s designed for the long term, you can take money out if you really need to. Please speak with an Independent Financial Adviser first about your investment requirements. Why pay more tax than you need to? Talk to your accountant and other advisers to see how you may be able to reduce what you pay.